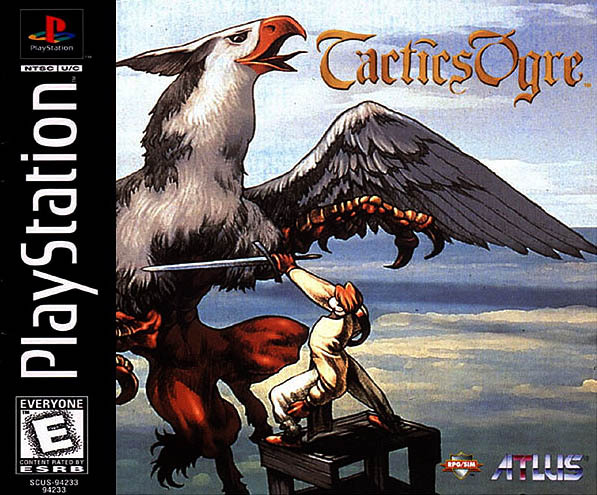 Tactics Ogre: Let Us Cling Together (TO:LUCT) is one of Yasumi Matsuno’s best SRPG’s. That is saying something considering he (once dubbed “the genius”) is behind a number of the top tier SRPGs. 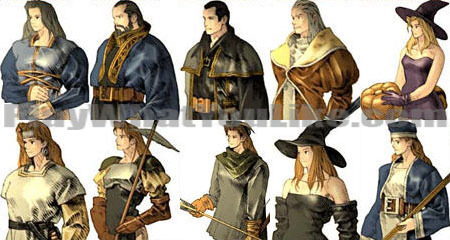 Some were a little confusingly named, like “Tactics Ogre” and “Ogre Battle.” Others are well-known like Final Fantasy Tactics Advance, and the SRPG gold standard Final Fantasy Tactics. (Wait, and Final Fantasy XII too? Sheesh, what a resume). 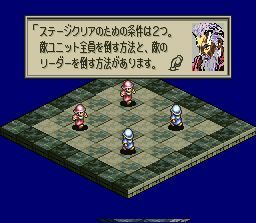 Matsuno is the father of the SRPG style that gives you a few main characters and allows you to recruit and build your own force from there. It is a style that allows for more freedom, focuses its story on the few given characters, and tends towards turns by unit rather than turns by team. 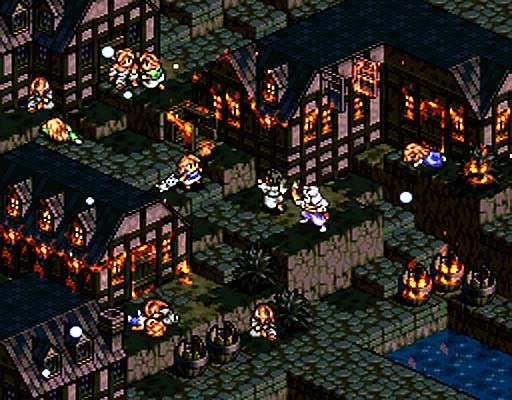 TO: LUCT was originally made for the Japanese Super Nintendo, and not released in America. It saw the light of day on American shores for the first time ported to the Playstation. The format is so classic it really does not need set up for those of you already interested in SRPG’s. Suffice to say it is grid based unit movement on top of non-rotating terrain with a robust job system. There were very few random encounters. You were mostly shown the location that needed to be addressed next and built up your team to face it as you desired. The storytelling mechanics were polished and well executed. 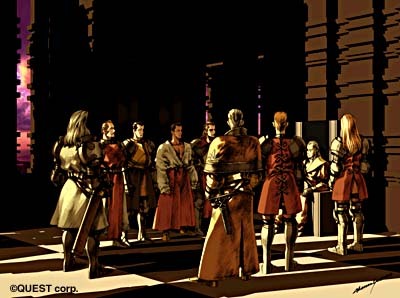 There were many in-game cut scenes dramatically set in special rooms or even on the battle field. The hero’s sister Kachua was a sad, annoying, weak willed and insecure individual. It was no surprise to us that she was easily turned evil. Were we supposed to feel bad for her? The interface was easy enough to use, and clear in design. You could find what you needed in an acceptable amount of clicks. (Whether a description helped after you found it was another story.) This streamlining was no accident. In a game like this one must be on constant guard against feature creep. TO: LUCT compensated for limited item storage capacity during battle in a good way. Magic users started with little or no mana going in, but it built steadily over time. So even an exhausted mage could cast again in a few turns and not have to rely on mana boosting potions. The 2D maps showed an amazing amount of diverse terrain features and implied height variances. It kept the tactical challenge fresh and interesting in nearly every setting. Quite a feat. Recruiting opponents from the battlefield to join your permanent crew is very gratifying. Character/Creature Variety: Creatures were a lot of fun to go up against or recruit. Dragons and winged folk plus numerous other types. An excellent addition. Weapons, armor, accessories and items were handled very well. (Better than the system used in Final Fantasy Tactics IMO which allowed item use directly from your total inventory.) Each member of your team had one slot for each of four categories. Left hand, right hand, armor and accessory. You could only use what you took with you. So there was no endless abuse of healing potions, mana boosts and revival items. Ten units, ten accessory item slots. There was welcome strategy and simplicity to picking your items. This decision enhanced many of the games other features (like how they handled death). Death is a key ingredient in SRPG’s. Allowing units to permanently die, as TO: LUCT did, is one of the best ways to garner investment from the player. It gets boring fast when there are no consequences. It was tough with no revival item until a ways into the game. The limited inventory and expense of the revival item made it hard to abuse and a good fit for the game. Can’t find enough cosplay? How about some nifty fan paintings of game character Ravness Loxaerion? 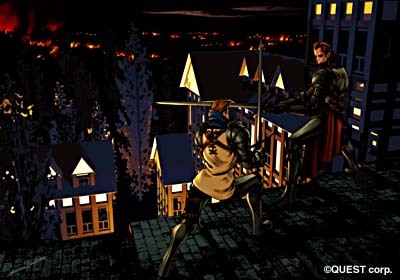 You can select a team of up to ten members to participate in a battle. That allows for many strategic and tactical decisions. However ten is the upper limit of how many units one can comfortably play in this turn based setting. It was sometimes work to keep track of all the factors for all the characters both friend and foe. “Let’s take a breather.” I like long intense battles, however allowing ten units to a side made for some battles that may have gone a little too long. These are not the kind of battles you can just save and return to. They are complicated and really need to be tacked at a sitting. Depending on how long you like to think, perhaps a long sitting. There was some grinding necessary to complete this game, but not an unreasonable amount. 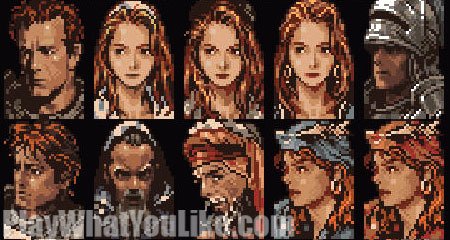 Additionally in all fairness, a game of this style allows you to recruit new party members at any time. These newbs may and usually do need places where they can gain experience and catch up to the rest of the party. Vocational School: There were ten male and eight female jobs. Archers, knights, etc. While this seems like a lot, it left me feeling like there should have been a few more. So what is the class of the girl in the upper right? “Pumpkin Wrangler”? 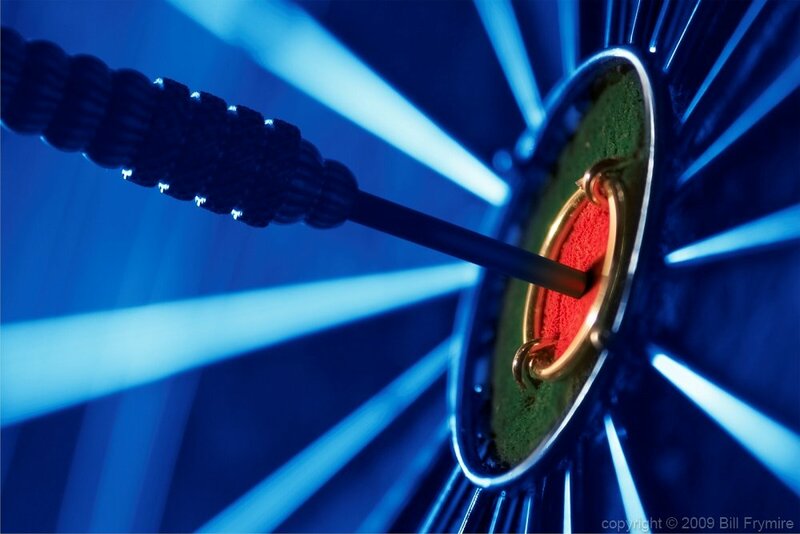 Archers were not given the “shaft” (pun intended) and were a viable class the entire game. Yay. However in some cases they were too powerful. I know, that seems like the last thing someone who like archers in these games as much as I is likely to say. It just seemed imbalanced against certain armor types. Such imbalances can work both ways too, do not forget. Whose orders do you follow if you’ve “Charmed” yourself? Forking paths: Player choice is good, but what to choose. When you are enjoying a game like this, you want to experience all it has to offer. Forking paths to different battle maps does not allow for that without saving and playing both sides (which I did). This reduces immersion. 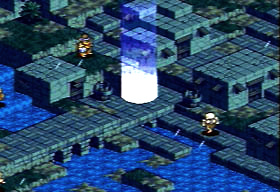 In games of this style there are sometimes boss structures that have two or three contiguous battles with no chance to exit for resupply and healing in between. TO: LUCT had some and they were a fun challenge. However the final bass structure was called “The Eden” and it was fourteen stories tall! That is 14 possible battles. There were a few forks along the way which cut out two to three battles, but that is it. Additionally as if the above ground portion were not enough, there were underground levels. It was …a little much. A colossal undertaking when compared to anything that had come before. My supplies ran very low and the battles seemed unnecessarily desperate in the wrong ways. Another RPG? Another hometown village burns. When will the carnage stop? Big teams, smaller reserves. Some may enjoy having first team and a second teams. The “A-Team” and the new guys. The most powerful for the harder story battles and the up-and-coming for less challenging fights. Ten to a team combined with how many characters you could store seemed to inhibit this kind of play. False start! On rare but frustrating occasions, your party is started in situations where there is no opportunity to act before incoming fire. Sometimes the damage can be severe or even fatal to a unit. This is not good period, but more so in a game where death is permanent. 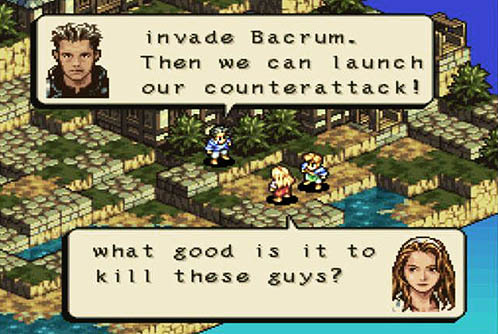 The localization included a number of direct Star Wars quotes. “Search your feelings…”, etc. They fit well enough to not be distracting. They did not break the immersion like the Dragon Force localization. On the other hand some may not appreciate the crossing of these two streams, and wonder why Star Wars has to invade their SRPG. Some NPC’s who were to be looked after by your team acted so stupidly in combat that they could not be saved. I wanted to, but at some point with death permanent you have to pull your guys back. If the developers really want this NPC saved, give me half a chance to save him without losing my team. “100% Hit” indication does NOT take into account line of sight. So your archer on a crucial shot can see their arrow fall harmlessly to the ground, repelled by an environmental feature from which you thought you had clearance. 100% my a$$. Get to the Point: Despite the polished story presentation, the actual dialogue was not crisp, snappy or short. It often went on and on and was even preachy. Story is not Matsuno’s strong point in my opinion. Oh, they might go on like this for hours. And if not them, someone else. Was somebody paid by the word? A spell that dealt damage according to how much damage the target has caused. It could be one point or it could be astronomical. However good it may sound, it was another stat to be tracked, and there was no mechanism but a pencil and paper with which to do so. One non-essential stat to track too many. That damage number needed an on-screen pop-up upon selection. That would have made this mechanic workable. Perfect? We do not know without testing. 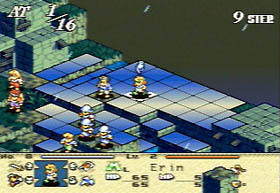 The multi grid square spell VFX were displayed one square at a time. Some spells could cover up to 13 squares. At around 1 second a square, you can see how this could and did get old very quickly. Please, do it all at once or in groups or make it very quick per square if there are technical limitations. “What?” Okay, there was a ton of story and endless lines to localize. That does not mean you can fall short of clarity or just be downright incomprehensible. The least troublesome are lines that just seem out of place. For example your unit is fighting against someone who is from the same country. If you fell the enemy his dying words are, “Why don’t you… work for your… own nation?” Hmmm, a little stiff for a last breath. A more egregious example is a comment from one of the given characters if they fall in battle. Canopus’ cryptic dying words are, “Feel with your soul. The truth is sometimes invisible.” You saved that sage advice for this last moment? However this completely unhelpful item description takes the cake. What is a “Wordrock” you may ask? It says, “Wordrock: It will talk to the word spirit and will be able to control dolls.” Huh?! Thanks for clearing that up. Too big for a bullet point: The worst ending …”evar”? The (unfortunate) drawback to a number of Matsuno’s otherwise awesome games are the endings, or in this case, possible endings. Why must such a downer ending be allowed in the multiple endings tree? We like ending personalization regarding relationships and secondary stories, but totally undermining the main cause after so many hours of play is not fun. Especially if the reason is some invisible set of circumstances were not followed. Apparently this game had two major endings with many variations. We encountered one of the stinkiest. After a lengthy ending and lengthier end credits you finally see the last scene. Your main hero has been crowned king at last and the peace you fought so hard for the entire game is realized. Well, that is how it would be left in most other games, but the invisible chart of ending factors brought us something else. Yes, you played for some huge number of hours, sat through a long ending and dull credits to see some loon run into the king’s chamber. He runs up to the throne and pulls out a gun. “Kill Denim Mown! Glory to Walsta!” He fires, hitting your hero in the chest before the screen goes black. WTH?! Matsuno must have been an incredible Queen fan (yes, the music group…). But he needed to separate his fandom from his games, or someone needed to help him do it. It is one thing to include quotes from Queen songs in your text, however it is quite another to name your entire game after songs. There is no way any marketing department would let that happen for multiple games nowadays unless it was consumer focus-grouped or absolutely fitting. Queen: There are so many captions that could be added here… Perhaps it’s best if we just leave it to your imaginations. This perhaps contributed to some naming confusion. 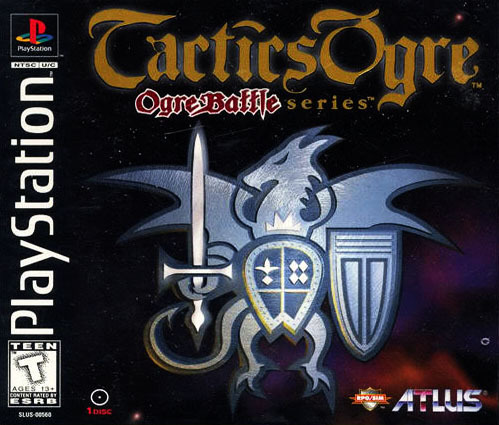 “Tactics Ogre… Ogre Battle… Ogre Tactics? 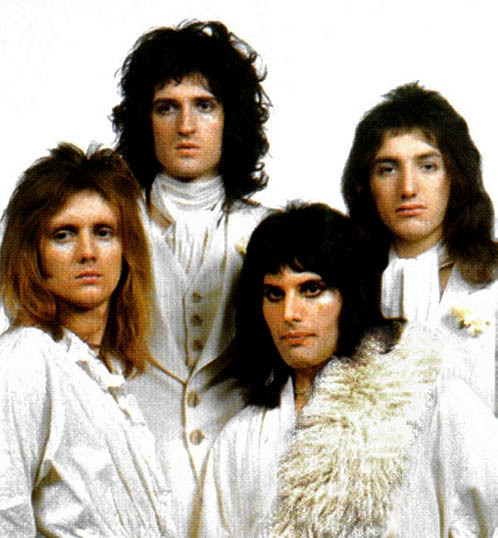 Queen song titles may not be the best source for all your game-naming needs. “Ogre Battle,” and “March of the Black Queen,” work (sort-of). However a name like “Let Us Cling Together” is on the surface so feminine and unfitting to the genre—and really has little to do with the game. It’s not a title that sells units. Fortunately Matsuno was so talented in other areas and his games are never-the-less, great. TO: LUCT is a sweeping epic. While you almost certainly will not clock in at my record busting 150 hours, you will undoubtedly get many enjoyable hours of tactical fun if you have a penchant toward these games. Matsuno succeeded in balancing an enormous number of variables including weapons, charge rates, HP and spell effects. The maps were excellent despite the original platform’s limitations. The quality across them all stayed high and consistent. Really standard setting stuff. It’s a world that can easily draw you in, and with your own unit recruiting it’s easy to start caring about them. These are YOUR guys. This game did not break with convention, it is one of the key games that actually established those conventions. Matsuno is the father of an entire school of SRPG thought. While this game is rare and expensive, it is well worth the effort to find and play. See for yourself the gameplay by the man behind the school. Update 12/16/2014: We retouched the worst ending section to cover the multiple endings factor, and polished a few other details. Also, this game is remastered, spruced up and available on PSP. It’s on our future to-play list. Lol! 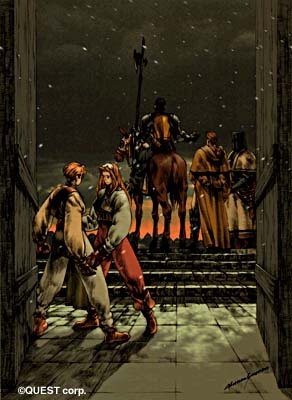 Pay atention to the dialogues and the subtext before review the history if a game. Its a little girly, but say it has nothing to do with the game is one of the most laughable affirmations I ever read in my life. As you may know, Matsuno was fond (some might say overly so) of using the rock group Queen’s lyrics for his game titles. It’s probably not the best method, and can lead to less than optimal names, like this one. “Let Us Cling Together” is general enough that you can read almost any kind of real or fabricated subtext into it for justification. But a more fitting name would have better suited this game. The history of the game is about a struggle for union, that is present in every aspect of the game, any name more fitting than “let us cling together” would probably bring the same idea. Thats not only present in subtext, its an obvious concept slapping your face. Unfortunately, your preconception let you just see “the girly name from a music”. Thanks for commenting. You care about this game and we appreciate that. As to your comment, you can look into the subtext all you want. Certainly there are hundreds of combinations of words that can carry the meaning of the game you describe. But two things are clear. Matsuno forced this title upon the game, regardless of how well it fit, because it was a Queen song title. Second, it sounds a little girly. thank goodness FFX-2 is not a SRPG. although your review would probably be a showcase of insecurity and sexual fragility. First, thanks JosephSeraph for the compliments. We’re glad you enjoy the analyses and humor despite having a minor disagreement here. Take some of our descriptive comments less seriously in circumstances like this. Often it’s meant to say something with a little wry humor. We knew that using “girly” or “feminine” to describe the title, “Let Us Cling Together” might cause some to needlessly take offense. It’s just a statement about the general nature of a thing. Football is a masculine thing. Writing notes with hearts and going underwear shopping at Victoria’s Secret are generally feminine things. Of course there are exceptions. 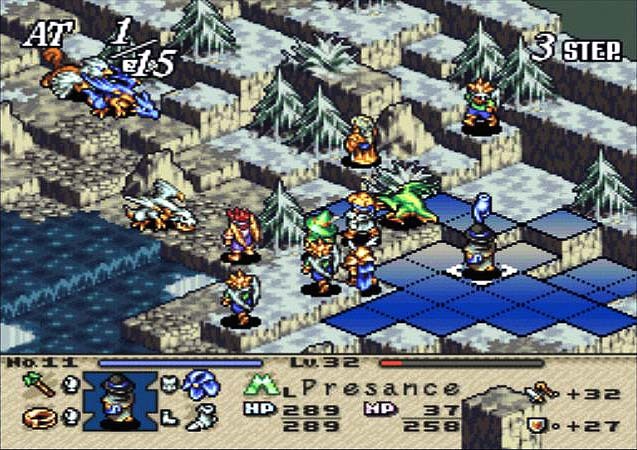 The overwhelming majority of SRPG players in North America are male. Calling a football team the “Basketweavers” instead of the “Chiefs” would lessen its name appeal to men. Similarly, “Let Us Cling Together” is probably not the most appealing name for a great game. But Matsuno is awesome, so people generally won’t care what his games are called. BTW, we DID play Final Fantasy X-2, and despite its completely, purposely created, over-the-top girl-power theme (“dress spheres?” Really?) we still enjoyed it. Its not only subtext. Its ok if you like to skip the story, but if you do dont comment about it. 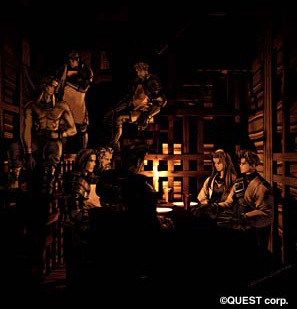 It is quite debatable how well, “Tactics Ogre: Let Us Cling Together” communicated some of the lofty concepts you described. There is no need for accusation. I think we can agree to disagree and let history makes its own judgment. 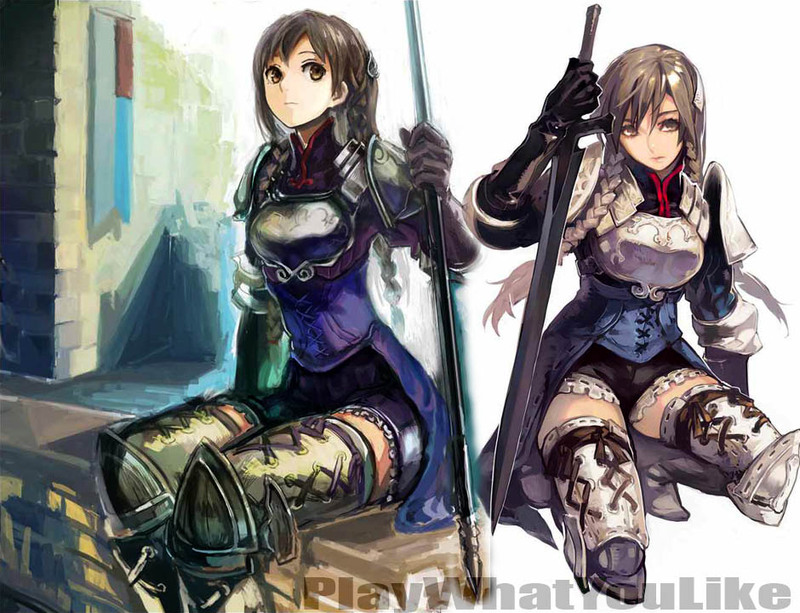 However, PLAY WHAT YOU LIKE is about a deeper look into SRPGs. We will comment on the good, the not so good, AND the misses. We owe it to you and every other knowledgeable reader who brings their opinion to the table. Thanks again for your comment.